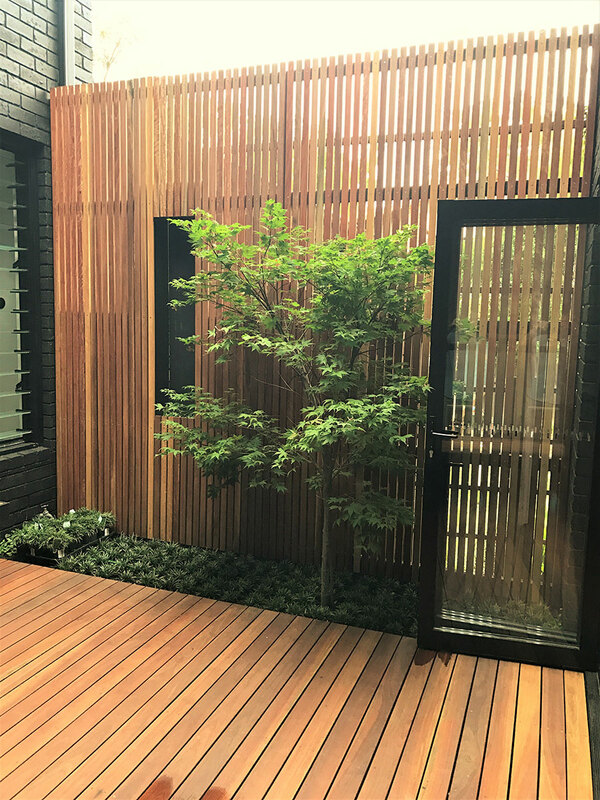 Brief: Re create courtyard into a functional aesthetically pleasing space. 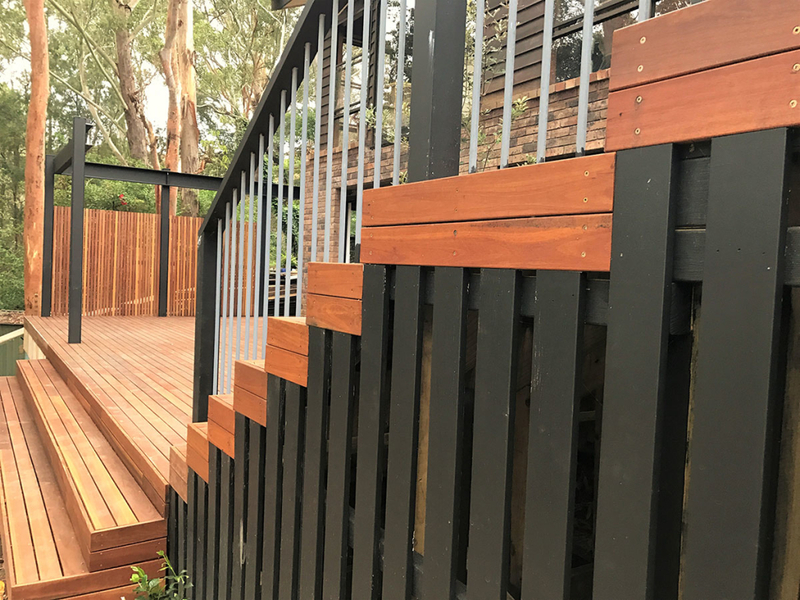 Replace existing decking and roof, adding a wide open staircase to connect to lower deck and lawn. 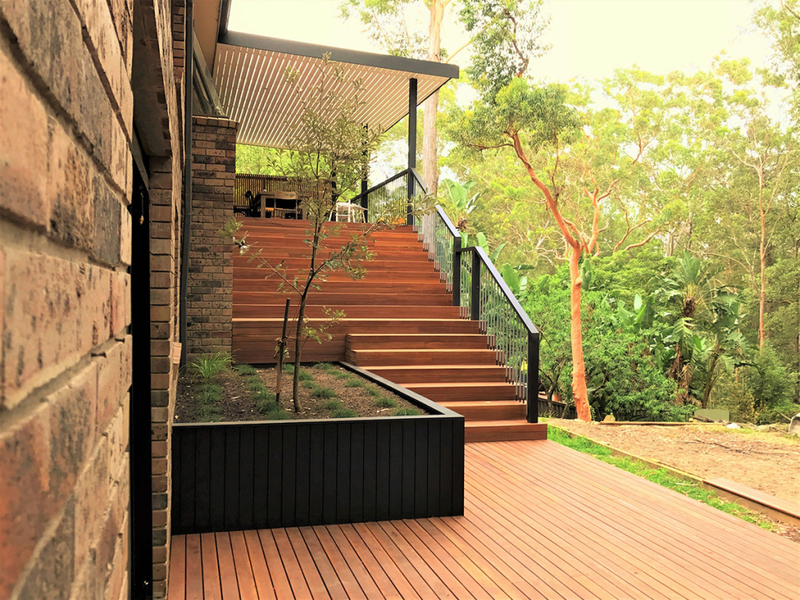 Materials: Spotted gum 86mm decking, clear polycarb skillion roof with 90mm timber slats, 15mm steel rods for the balustrade. 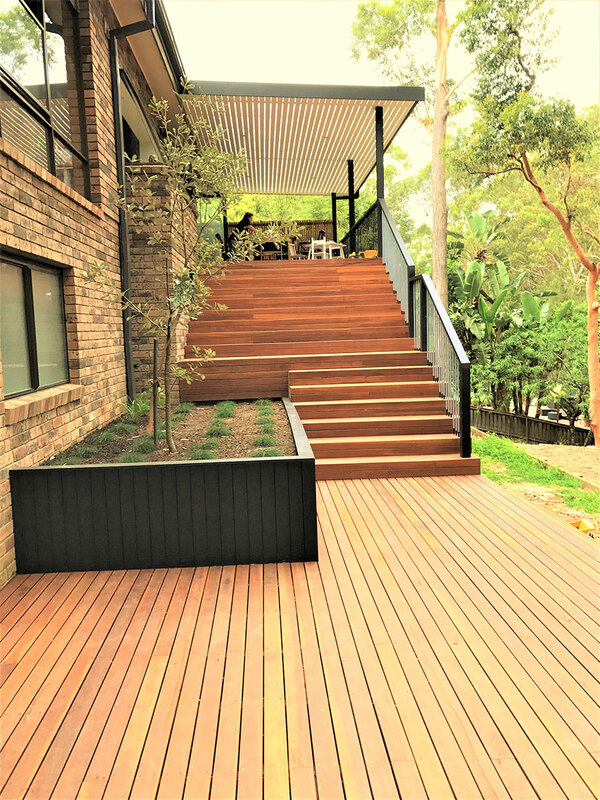 Extras: Bench seating, planter boxes, privacy screening and lighting. 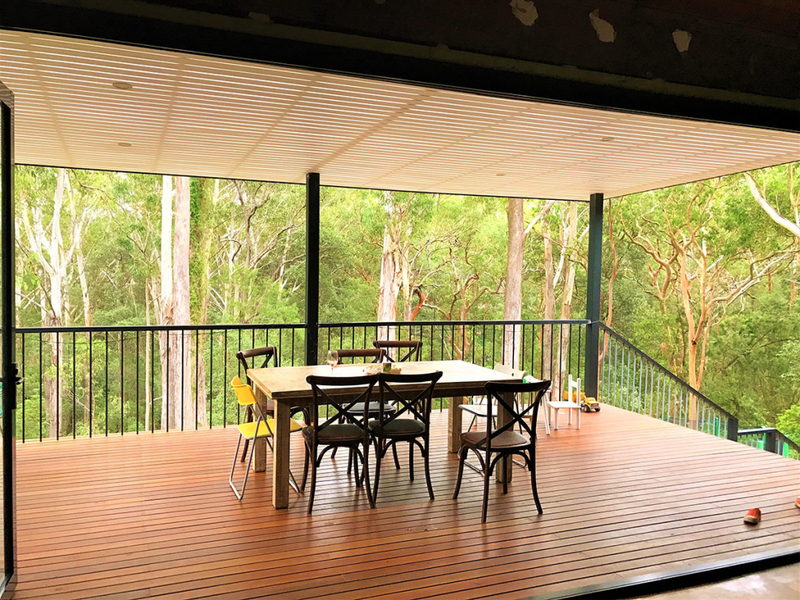 Assisted with bifold door preparation; installing new lintel.